Home / Blog / Travel & Play / 3 Minutes in the Cold Sauna: 6 Months of Relief? 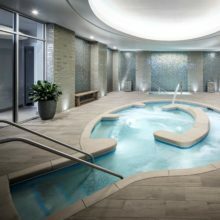 Saunas and steam rooms are par for the spa-going course, but the cold sauna is a brand-new spa trend. Set at a temperature not found anywhere on earth — brace yourself, we’re talking -167°F/-110°C — it’s unlike anything you’ve ever felt! Why would you want to go and do that, you ask? Our senior editor explains the staggering healthy benefits and shares her exhilarating experience brrrraving this chill at our Wellness Week partner Sparkling Hill in British Columbia, home of North America’s first cold sauna. So cold. So good for you. Though cryotherapy, or the use of low temperatures in medical therapy, through cold sauna treatments is uncommon in North America, doctors in Europe have been prescribing this method to injured and arthritic patients and to athletes suffering from joint and muscle inflammation for the past 20 years. The cold sauna was first developed by a Japanese physician in 1980 as a results-oriented, non-pharmaceutical, alternative therapy for rheumatoid arthritis. Today, doctors are also recommending cold therapy for pain relief and inflammation reduction for those with fibromyalgia, sleep disorders, depressive moods (often associated with pain), multiple sclerosis, sciatica and much more. The cold sauna is a therapy where the goal is to cool the entire body (creating a systemic boost), to make it actually warm up faster afterwards. The intensity of the cold reduces treatment time; it’s only 3 minutes long. Before stepping foot inside the cold sauna, proper attire is essential to prevent frostbite: gloves, facemask, socks, shoes and headband for the ears. 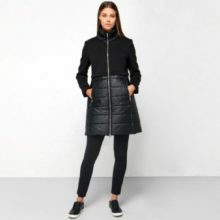 Although my extremities are covered, I wear only a bathing suit because the more skin exposed, the greater benefit the cold will have, according to Sparkling Hill’s resident kinesiologist Paul Bradshaw. 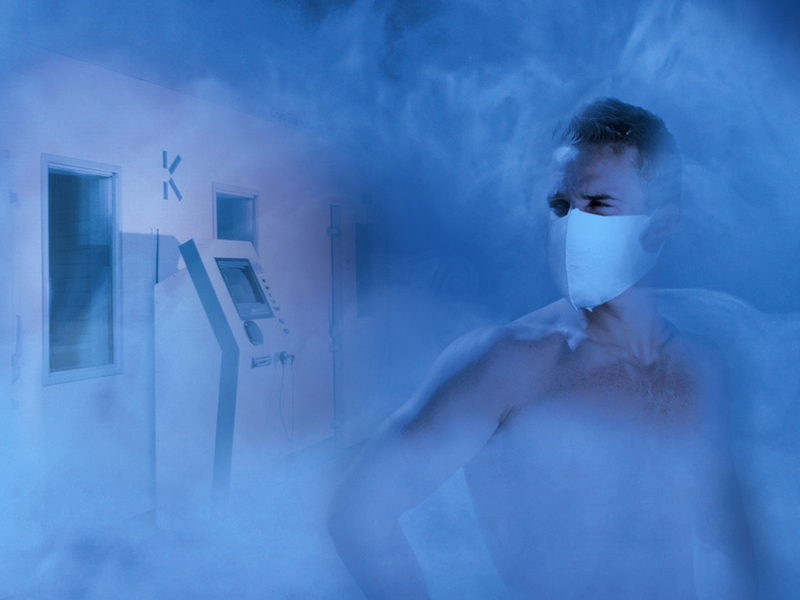 He administers the cold sauna therapy up to five times a day – Arctic hero! Jewelry, hearing aids or other objects must always be removed because, pressed against the skin, they will feel uncomfortably chilly once inside. There is also an explanation of strict safety measures, what to expect and an initial medical history questionnaire. (People with medical conditions such as recent surgery, pacemakers and untreated high blood pressure are among those not recommended to use the cold sauna.) 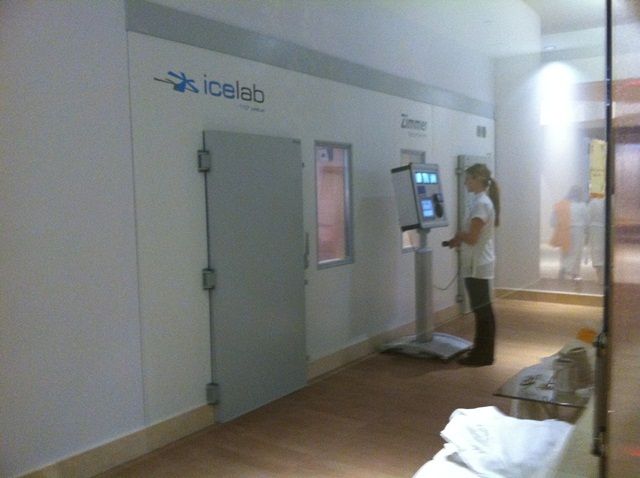 A qualified practitioner always accompanies guests through the cold sauna experience, and another individual video monitors the treatment (safety, temperature and time), start to finish, from outside the facility. Paul recommends I breathe normally, relax and try not to tense up. Tense muscles will get cold faster, he says. 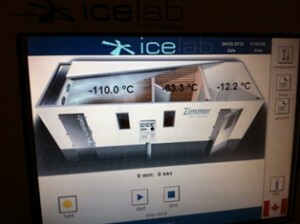 First, our group of four steps into a chamber for 5 seconds, at 5°F/-15°C — and it’s mighty cold. Next, we open the door to another chamber, which is -76F°/-60°C. It’s getter colder, indeed. After just a few seconds in each, we open the door to the main cold sauna, and it’s shockingly cold at -166°F/-110°C. The first two rooms aren’t there to acclimatize you, Paul explains. It actually takes tremendous energy to keep the cold sauna at its chilly -166°F/-110°C, so the two initial chambers are designed to preserve the cold. The four of us walk round and round in a circle, exaggeratedly moving our hands and arms, as Paul suggests, while Bob Marley’s “Everything’s Gonna Be Alright” is played on a speaker. Paul champions the group, reminding us that we can do anything for 3 minutes and offering insight, answers and encouragement every second of the way to the 3-minute mark. The voice of the woman monitoring the group lets us know when 1 minute has passed, two minutes, and finally when 30 seconds, and then 5 seconds, remain. When I walked out of the cold sauna my skin was pinkish and tingly from my blood moving inward toward my core, but the adrenaline and endorphins pumping made me feel exuberant. The rush was much like the thrill of getting out of the frigid ocean, or the euphoria experienced following a long run. My mind was clear, and I was all giggles! 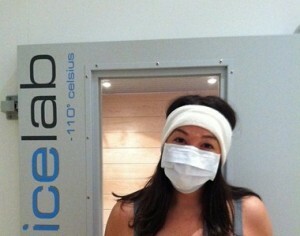 After warming up, I signed up to do the treatment again the next day. The optimal benefits from the cold sauna derive from serial treatments twice a day with 3-4 hours in between, comprising a total of 10–30 visits. It’s inadvisable to use the steam rooms, hot saunas or hot tubs immediately after, as artificial heat would be too much for the body to handle, and the extremes too polar.